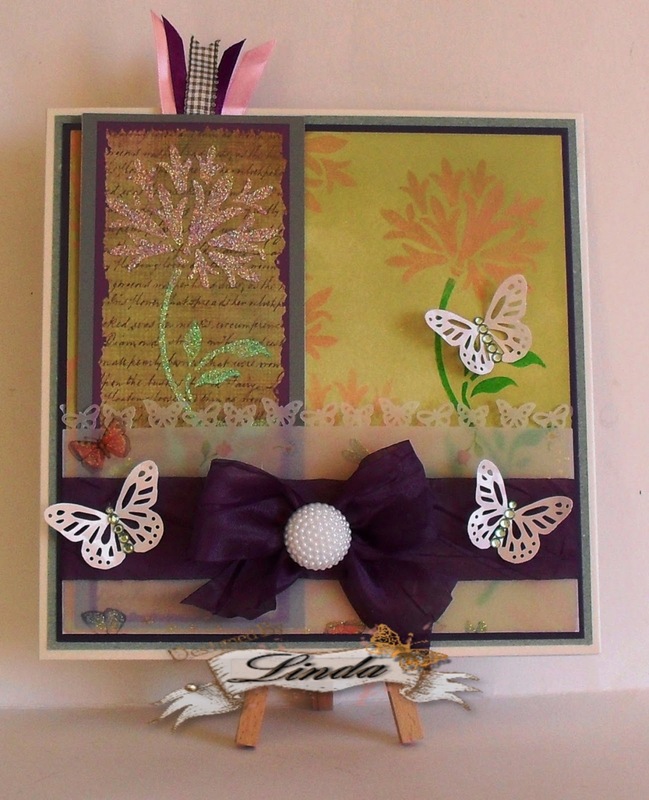 Friday again and we have another beautiful card to share with you by the lovely Christine! Christine has used the beautiful Deco Branch Panel, Sparkle Medium and made this beautiful card, we particularly love how she has used the Angelina fibres for the bird and the greeting. 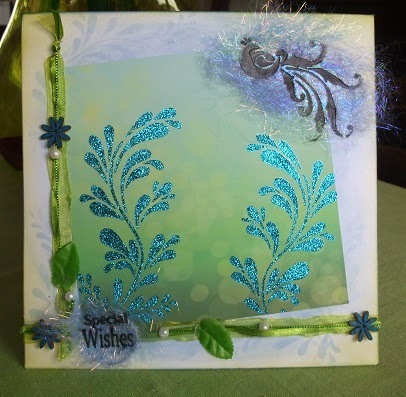 Visit Christine's blog to see how she has created this beautiful card! Last minute organisation today before we head off to Peterborough for Sue's shows on Create and Craft tonight at 9.00 pm and Friday morning 9.00 am. There are lots of lovely goodies on the show and Sue will be showing some fabulous new techniques and showcasing Silkies for the first time. 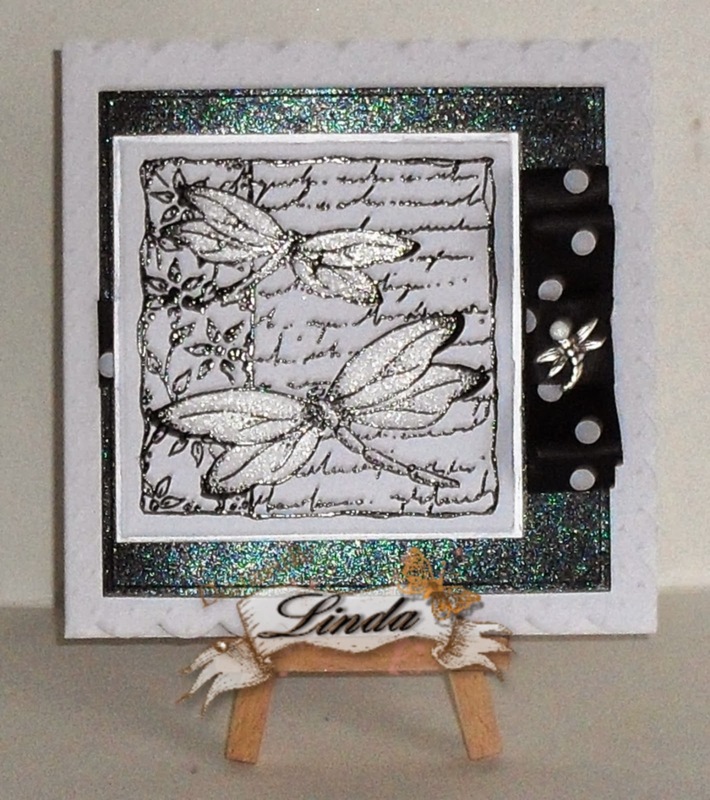 I have made a card using a couple of the products that Sue will have with her on the shows. 1. 6 x 6 square card with scalloped and embossed front. 2. The first layer is black glossy card which I have brayered Diamond Sparkle Medium, I then wrapped black polka dot ribbon around before matting and layering onto the card. 4. To finished off I made a Chocolate box bow and added a silver dragonfly charm with a white brad. Today we are sharing our clever designer Kath's card. Kath designs stencils, stamps and papers for Imagination Crafts. Kath is very much a grungy type of crafter and creates some amazing work. Why not visit her blog to see some of her amazing projects! Kath has used the Carnation Panel with her own patterned paper she designed. 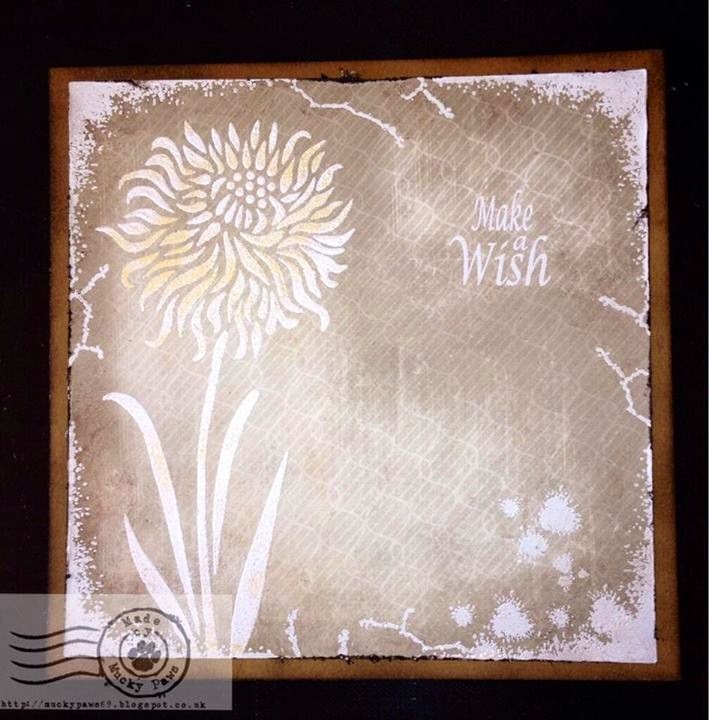 Linda here to share with you my card using the new Meadow Flower Panel Stencil from Imagination Crafts which you can purchase here. I have used the panel to make a book mark which once the birthday has gone can be removed from the card to use. I do love my bookmarks and have quite a collection. I have used vellum to make a pocket for the bookmark and Stencil Paint and the stencil to create the background.